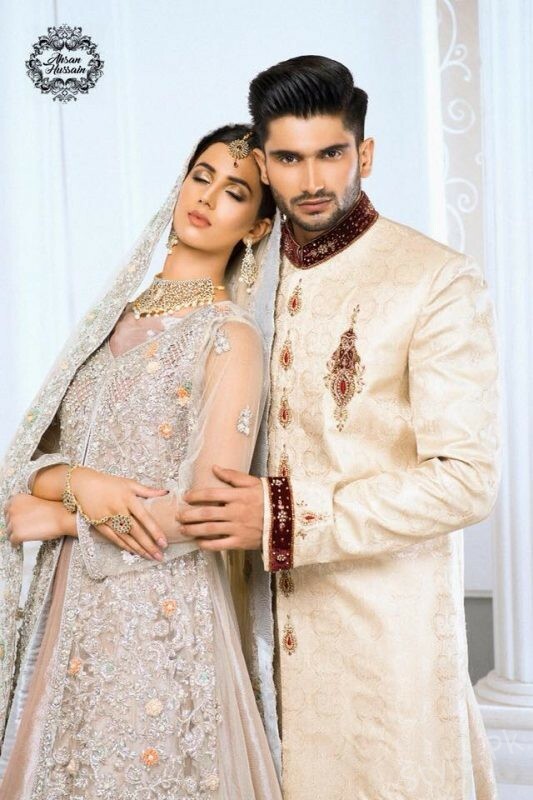 Grab this webpage in order to learn about the fabulous and latest launched Ahsan Hussain couture wedding wear collection 2018 for men and women. This couture wedding collection 2017 has been launched just a couple of days back and it is complete wedding wear dedication for the men and women. As you would catch this collection in one sight, you would probably be falling in love with it for sure! This collection is a perfect example of the dresses whom you can say awe-inspiring for sure. Let’s see what is so special about this collection line! Right into this couture wedding wear collection 2018 the designer has been giving you out with the awesome finishing of the dresses designs. This wedding wear collection can even be regarded highlighted with the exceptionally designed wedding wear dresses too. 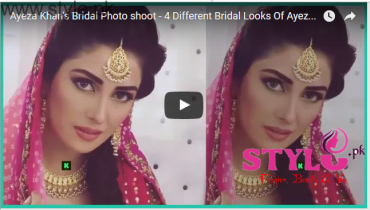 This whole collection is featuring out with the splendid dresses that are being put together with the involvement of the long shirts with lehengas for the brides. 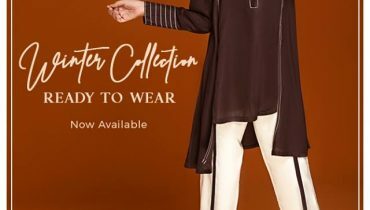 This complete collection has been hence designed as according to the latest and newest style statements. The portion of men has been featuring out with the complete modern designed sherwani designs. The adornment of the collection outfits has been elegantly covered with the heavy embroidery use. Along with the embroidery, you will probably be finding the taste of the stonework with the blend of the gota being covered over on the top of the dresses styles. The color combinations of the collection dresses have been beautifully set with the light and soft flavors of the colors such as peach and light soft pink. It is so alluring and appealing designed out. Here we are about to share some of the album pictures from the Ahsan Hussain couture wedding wear collection 2018 for men and women. 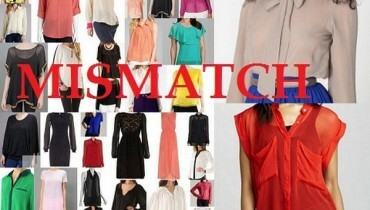 You would desire to get all the dresses in the collection line for sure. 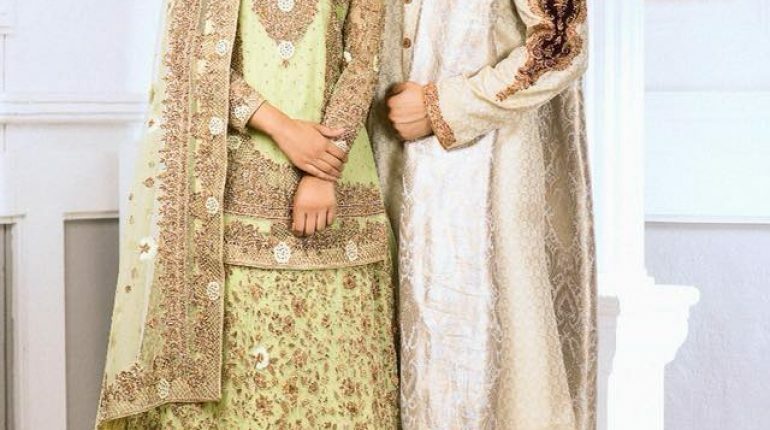 Make your wedding day special by wearing Ahsan Hussain wedding wear collection 2018 dresses!